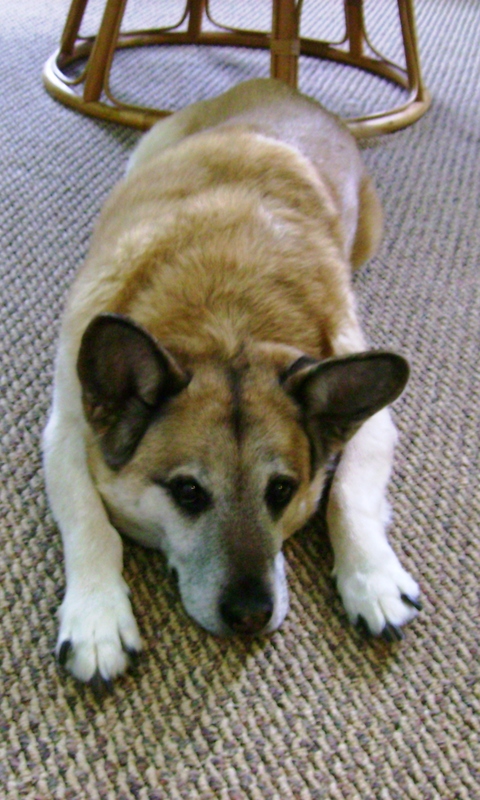 Two years ago today, I said goodbye to a very special friend. So today, Pie, I’m thinking of you, as I have every day for more than 12 years. One of the last pictures we took together. And today I think it would be appropriate of me to mention another very special friend we lost about two months ago, just before New Year’s. Chance enjoying some time outside. Chance had a rough start in life. My mom and I found him on the side of the road in Deal Island, Maryland, at the edge of a marsh. That was more than 13 years ago now. When we stopped the car, he came right over to us. He was starved, limped on a back leg, and was covered in fleas and ticks. I remember that it was a weekend, and the shelter was closed, so, long story short, we ended up keeping him. And it was one of the best things that ever happened to us, and the best thing for Chance. The first three days we had him were rough. The first day, we gave him a bath and removed the ticks. The second day, we took him to the vet, where they most likely tested him for everything imaginable. He certainly seemed to have everything. Every intestinal parasite possible, heartworm, exposure to Lyme disease… Then, the third day, he was subjected to yet another bath. Somewhere in the middle of it all, he escaped the outside kennel we temporarily kept him in one night, in the middle of a thunderstorm. And laid down on the driveway until someone came outside in the morning. In a strange place, with strange people, most dogs would have run off. But not Chance. He chose to stay. Years later, he got x-rays to check whether or not he had kidney stones. Luckily he didn’t, but the x-rays revealed something more disturbing. He was full of shrapnel. Someone had shot him with buckshot. 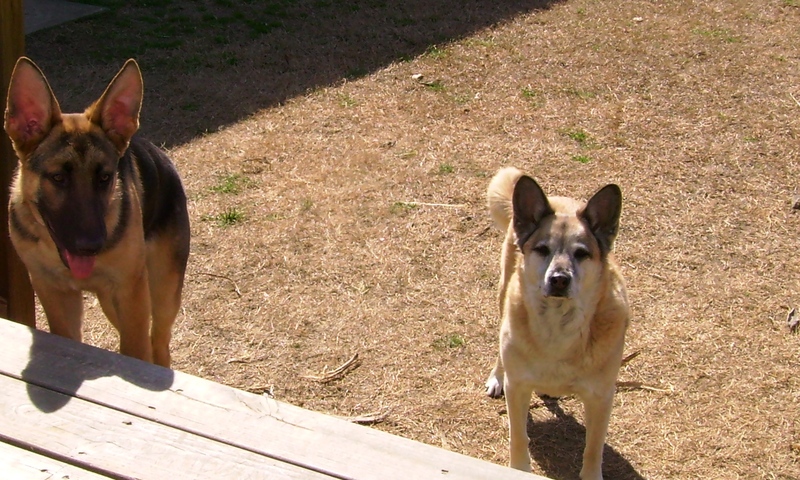 Charlie (left) and Chance (right). 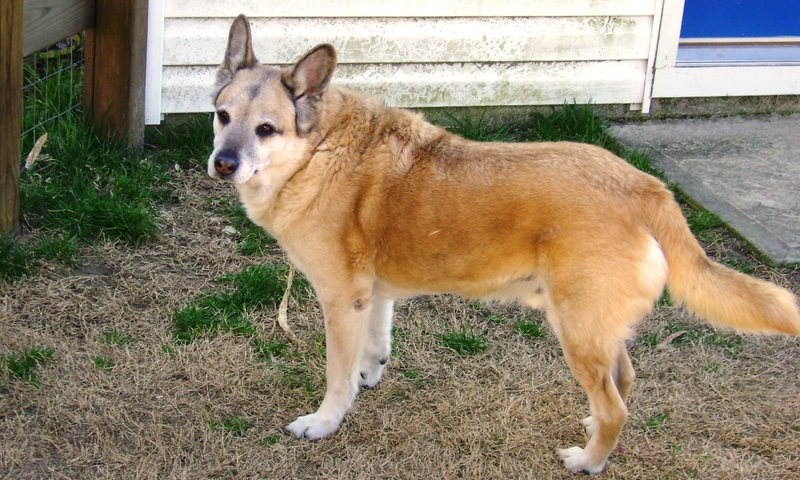 And despite the abuse and neglect he had suffered, he loved everyone, and was the happiest dog I’ve ever met. He never growled, never snarled. And you could never scold him for anything, really, because his big fluffy tail never stopped wagging. It was hard to watch him get old. Hard to watch him struggle up the stairs, which he insisted on climbing when I was home for the weekends, just so he could sleep on the floor next to my bed. Just like old times. Chance, after following me upstairs. And when I would leave, I would always give him a bowl of milk. I’m a big milk drinker, and somehow it became our thing – Chance would always get the last of my cup of milk. Even after he went mostly blind and deaf, he could smell when I opened a container, and would be right there next to me. For some reason, the weekend before he passed, I voiced something that had been bothering me. Maybe it was because, for the first time, Chance hadn’t followed me upstairs at night. I was happy to leave him downstairs, where he could sleep in his favorite chair. I hated seeing him struggle with the stairs. But as I gave him a bowl of milk and petted him before I left for my apartment in Baltimore, I said that I always wanted to make sure I gave him his bowl of milk and a nice hug before I left, because I could never be sure if it was going to be the last time I saw him. And not even a week later, he was gone. But it was sudden, it was quick – he didn’t suffer. And he was surrounded by love. 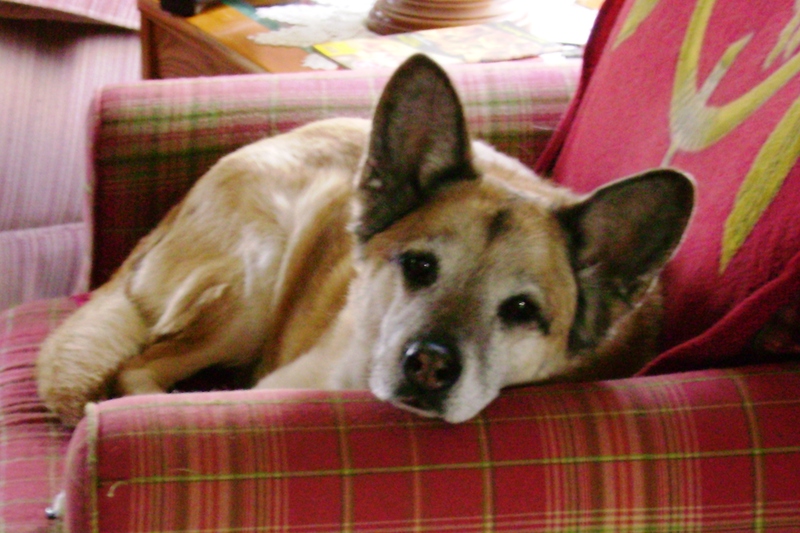 It’s hard to go home and not see him there, in his chair, or on his dog bed in the corner. But Chance had a very long, very happy, life. And now, there’s one more guardian angel waiting for us at the Rainbow Bridge, watching over us. Such a beautiful tribute to your four legged buddy–and what a story! Chance found the right people. It’s hard to lose good animal friends, but nothing can take away all the lovely memories you guys had. So sorry that you have lost two very special friends in the last two years, but you have gained so much more for having had them in your life. Thanks for sharing Chance’s tale! That’s true… and all the good memories do make the pain of losing a special pet worth it; they were each happy and loved. And another one in need of help always seems to find its way to us sooner or later :) Thanks for reading! It sounds like your sweet boy Chance was an amazing guy, and what a great beautiful coincidence you found each other when all the shelters were closed! I am so sorry you recently had to say goodbye. I have a particularly empty chair back home in Canada too… so I know exactly what you meant. Thank you so much for sharing his story with us all. Everything sure did work out perfectly for him, and he knew it :) Goodbyes really are hard, and there’s always a reminder somewhere. Thanks for stopping by and reading! Chance sounds like one great dog. I understand how it hurts to say goodbye. A friend sent me this quote after I lost my dog, Tiki. I would like to share it with you… it kind of says it all. Thank you for sharing, that’s such a beautiful quote! I’ve never read that one before. It really does speak volumes. And I certainly couldn’t live any other way; the joy our pets bring us, and the joy we bring them, are worth the inevitable pain of losing them. So incredibly sad. I truly do feel for you. All of us animal lovers have to suffer the losses. My heart goes out to you and I wish you strength. What an incredible dog Chance was and how wonderful that he found you. Thank you, it’s hard to say goodbye, but looking back on the good life each one had makes it easier. Thanks for stopping by! I often marvel at how we are brought together with our special four legged friends. They come into our lives for only awhile, and when the leave their footprints remain on our hearts forever. What a lovely remembrance, it made me go teary eyed. Thank you for sharing it with us. So true! I think there’s always a reason each one comes into our lives, too. They each have something to give and to teach us. Thank you for reading! I can’t even read this without tearing up. My pomeranian is 15 years old now, and he’s showing his age. I don’t like to think about it most days. 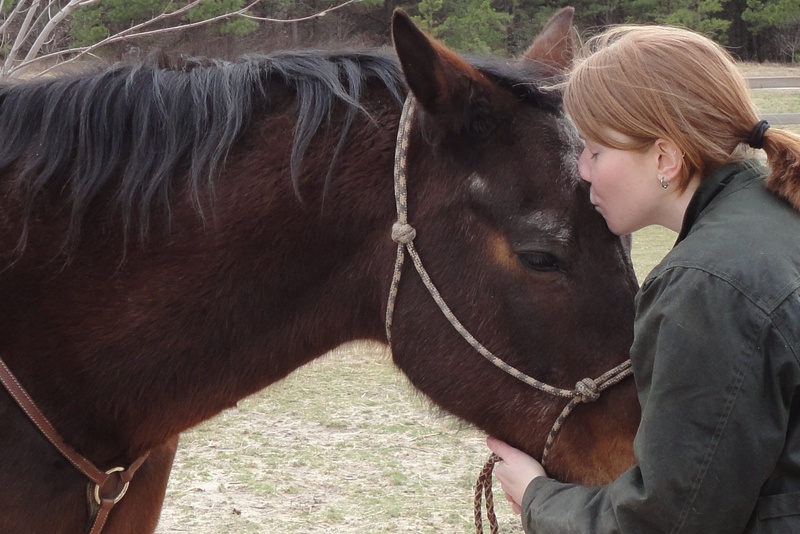 My cousin has devoted her life to rescuing and taking care of horses (she’s only 16!) and she recently lost Spirit, the first horse she ever got, her favorite, and who saved her life one day. It broke my heart to pieces. If there’s an animal heaven, I’d rather go there than anywhere else. I’m sorry to hear about your Pomeranian; it’s so hard when they get old *hugs* There has to be an animal heaven; I refuse to believe animals don’t have souls. I’ve read a little bit about near-death experiences, and it was comforting to know that a lot of children who have them report being surrounded by animals. It’s nice to think that such a place exists. And kudos to your cousin; it’s always been a dream of mine to have a horse rescue one day. Sorry to hear she lost her Spirit, losing my horse was definitely the hardest thing I’ve gone through. But it helps to remember the good times, and the fact that I saved him from an uncertain fate. I’m sure she did the same for Spirit. Not all of them are so lucky as to have good loving homes, especially in their last days, when they need it most. I am so truly sorry for your loss. Such difficult times.